Vision is not about what is – it is about what we can become by the grace of a holy, loving, and powerful God. At Sunbury Christian Church we are seeking to be part of the plan that He has for all the people in our community. It is our sincere hope that you will catch the vision that God is giving us and will find peace, friendship, and even joy by joining us on this journey. We invite you to use your God-given talents and gifts as we labor and sacrifice together to see this work of God to completion. 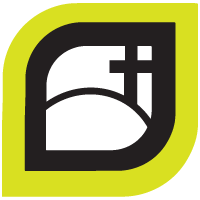 Sunbury Christian Church exists to cultivate devoted disciples who first CONNECT with God. We envision a family of authentic people that draws everyone from the loneliness of isolation to the peace of relationship – first with a loving and forgiving God, second with their own family, and third with those in fellowship at Sunbury Christian. This loving, safe place irresistibly draws men, women, and children in increasing numbers as God impacts a broken world and our growing community. We hear passionate, inspired teaching in classrooms for children of all ages. It kindles fire in the minds of a generation of warriors who will GROW in God’s timeless truths. We see men and women who immerse themselves daily in God’s holy, inspired Word, experiencing a renewed mind that is equipped for every good work. We see a training ground where the people of God discover their God-given passions and gifts – equipped to live in a world which desperately needs to see genuine Christianity. We desire to be a people who REACH out to Sunbury and beyond to share the peace of Christ. Taught by His word and prompted by His spirit, we will offer Christ in practical ways to our fellow believers and those we meet. We believe this authentic family is a place where people carry one another’s burdens in difficult times and offer praise together in times of joy.